Budget announcements for 2017 have been dominating the headlines for the last week or so, with policymakers, thinkers, and the common man all chipping in their opinions on how these proclamations will affect their industry of interest and their daily lives. One of the key changes with regards to education policy has been the shift from the centers of excellence model to an increased focus on improving general educational outcomes across the board. This is apparent from some of the proposed initiatives announced during the budget detailed below, specifically the plan to systematically measure annual learning outcomes in schools. The budget also establishes the bringing together of all assessment under one roof. This is to be accomplished through the establishment of a National Testing Agency and will be the final authority conducting all academic entrance exams. The latter move would allow boards like the Central Board for Secondary Education (CBSE) and All India Council for Technical Education (AICTE) to focus on achieving academic excellence rather than get bogged down in the bureaucracy of testing. But how will this dramatic shift in scale be accomplished? Taking a leaf out of the private sector, the government plans to heavily rely on technology to ensure more democratic access to quality education for all Indians. Information and Communication Technology (ICT)-enabled education will be leveraged to reach students that might not have had access to the best teachers, modern curriculum or the courses that pique their interest otherwise. The government’s proposed SWAYAM platform will offer 350 online courses, to start with. This online classroom solution should ensure that geographical remoteness or a lack of financial resources, the most common setbacks students (especially those from semi-urban and rural areas) face, are no longer deterrents. An innovation fund for secondary education has also been announced. The goal of this fund is to enable universal access to education for students, improve gender parity, and to achieve an overall improvement of secondary education. The government has given local bodies a fair amount of leeway on how they wish to deploy these funds, allowing for more contextualised solutions to be innovated for local problems. The focus remains on a 3500 backward block of schools, whose issues are oftentimes infrastructural rather than a one-off. Problems like absenteeism, administrative duties overwhelming teachers, and lack of personalised attention can take away the focus from learning. The scale of these issues can seem too massive to address. School teachers and community leaders play David to the Goliath of “the system” and change seems impossible. However, with the establishment of such funding allowing for individuals to innovate local solutions for local problems might make all the difference. The key is to use these funds intelligently. Tech solutions like the Fedena school ERP system help manage students more effectively. This allows a variety of stakeholders to work seamlessly with each other to ensure a superior learning experience for the student. Investing in building smart schools is not just low-hanging fruit to aim for, but the logical next step. We are not shy about adopting tech solutions, especially in the space of education. 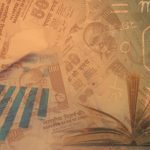 For instance, Massive Open Online Courses have found so much traction amongst traditional and nontraditional students, that one of the biggest MOOC platforms, Coursera is massively increasing investment in its Indian audience. 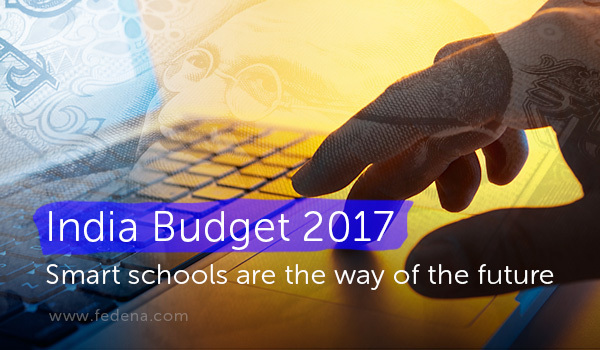 The focus on technology in the Budget for 2017 demonstrates that the government has recognised that innovation in the classroom is the key to future success and that India is one of the most receptive markets when it comes to successful implementation of teaching technology. Previous PostPrevious Why having school ERP with a Discussion Module?